Just this week, I applied for health insurance that I may actually be able to get. After going without insurance since last year, and being rejected by all the private companies I could find to apply to, a very important part of healthcare reform has started – the ability for those of us with pre-existing conditions to get some form of health insurance. This part of the law created a new program to make health coverage available to you if you have been denied health insurance by private insurance companies because of a pre-existing condition. Hands up – that’s me! Administered either by individual states or with assistance from the Federal government, anyone with pre-existing health conditions who have been turned down for private insurance in the past 6 months and is a U.S. citizen is eligible to apply. And apply I did. 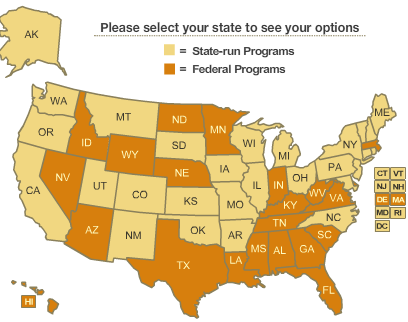 After selecting your state, you can see if your plan will be administered by the state you live in or by the Feds. If through the Federal Government, you will be linked directly to an application page. If it’s through your state, a link will take you to information about how and where to apply in your state. My state, Colorado, administers it’s own plan, so when I clicked on it it brought me to information for who to contact/where to go to apply, and led me over to https://www.covercolorado.org. After gathering up my completed application, rejection letters from other insurers, proof of residency, and bank information for automatic withdrawals, I dropped the entire packet in the mail – and now I wait for word on approval. I already know what my rate will be, and I expect to start having coverage in September. It sure will feel good to have insurance again! While I don’t (and haven’t) minded paying for the smaller things, checkups, and a few minor procedures out of my own pocket (see my post on using health clinics in pharmacies to save some money), the scariest thing about not having insurance is having something major happen; something that puts me in the hospital for a few weeks or some sort of terrible disease. Hopefully I can put that concern to rest starting next month. It will cover a broad range of health benefits, including primary and specialty care, hospital care, and prescription drugs. All covered benefits are available to you, even to treat a pre-existing condition. It won’t charge you a higher premium just because of your medical condition. It doesn’t base eligibility on income. So check out http://www.healthcare.gov, look up your home state, and see what kind of pre-existing insurance coverage you can get. Be sure to share your experiences in the comments on this page. I’m glad to hear you will, or most likely be receiving that coverage in just another month. You sound really proactive and on top of the process. Sorry that you had to battle cancer so young, too. Something that Obama has done that acutally maeks sense,and that I agree with.